Another Pelagic Trip has been organised for Sunday 31st August sailing from the Harbour at 7.00am. Price will likely be £15.00 each. Hopefully this next trip will produce good numbers of seabirds and plenty more photograph oppotunities. The highlight of the trip yesterday was a Blue Fulmar which showed incredibly well feeding on the chum just behind the boat, lets hope for something better in August! If you wish to book a place please either text Nick on 07986889277 or email scarboroughbirdrecords@gmail.com. 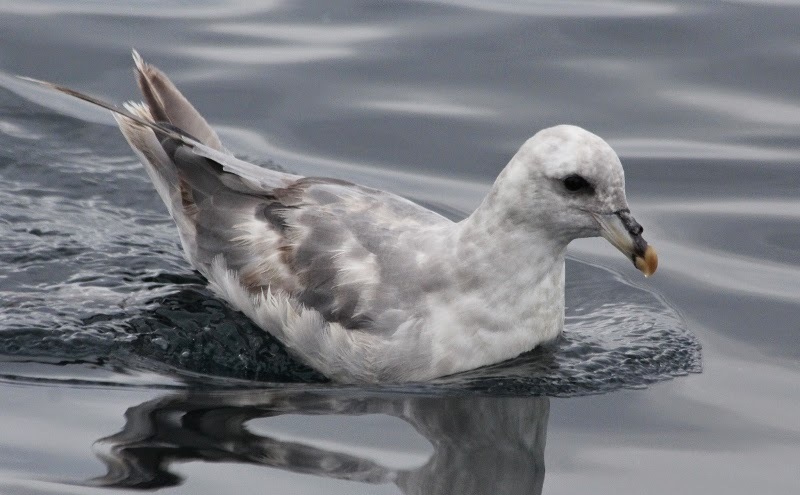 Blue Fulmar, Scarborough Pelagic, 13th July - Michael McNaghten.